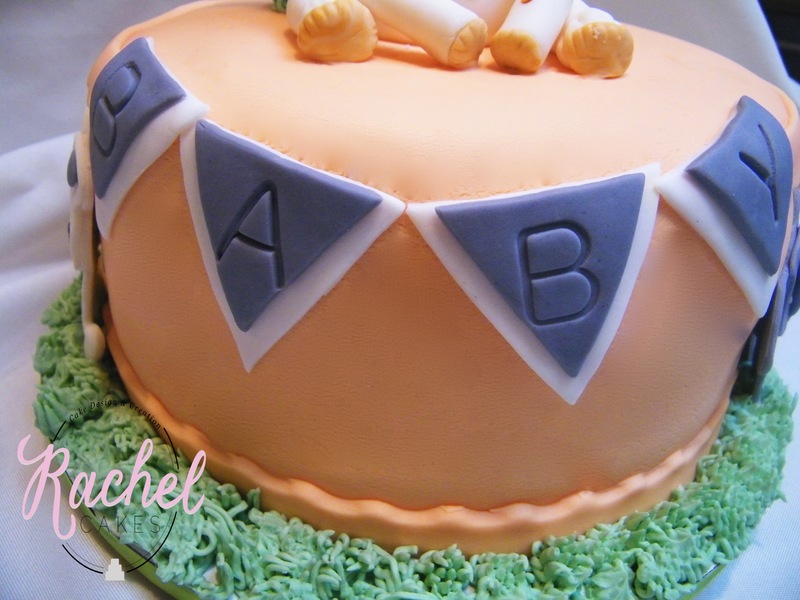 Today’s cake was for a beautiful girl’s Baby Shower. 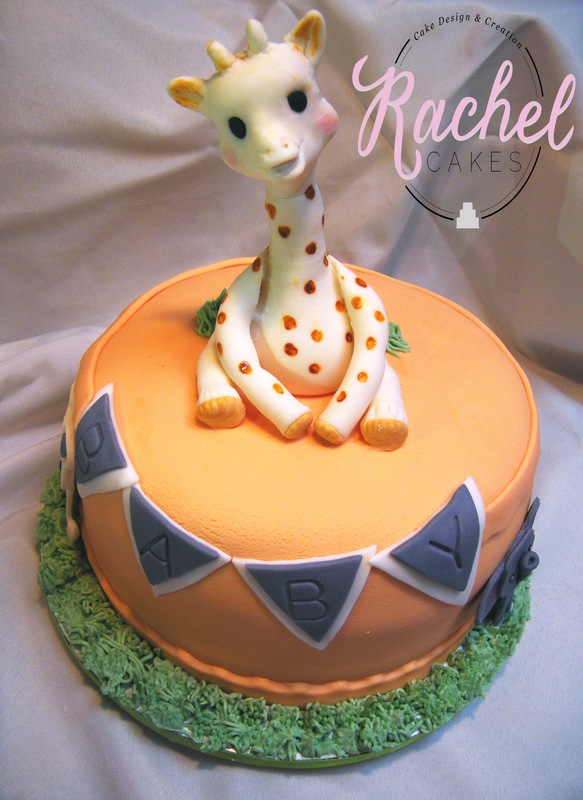 The Baby Shower theme for the cake was “Sophie and Friends”, after the very popular Sophie-giraffe baby teething toy. 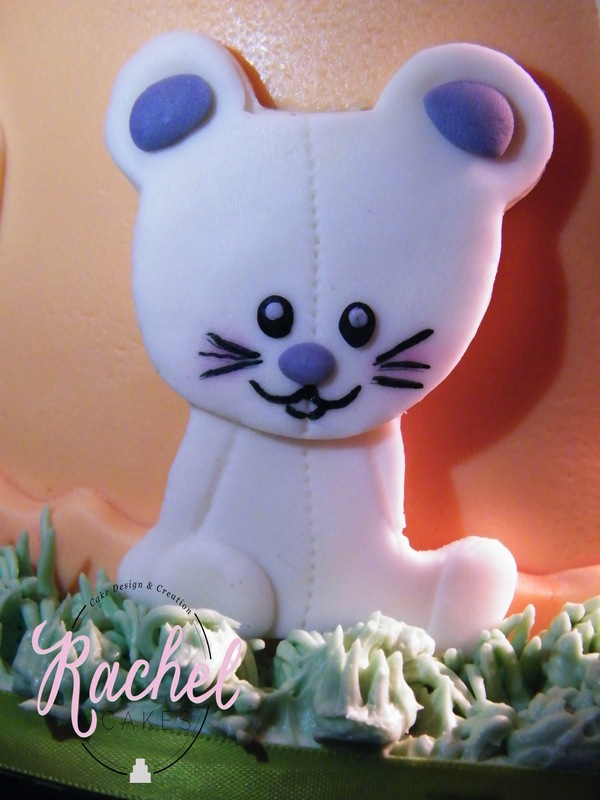 The ‘friends’ were placed around the bottom of the cake, resting in the buttercream grass. Congratulations Lukas and Trina!